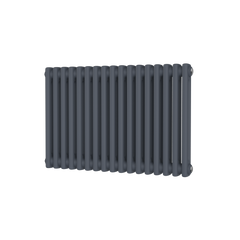 Radiators between the height of 1901-2000mm. 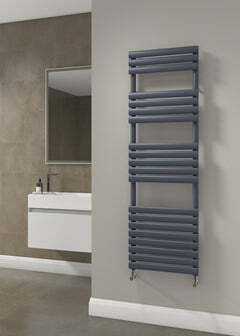 The DQ Vela Vertical Radiator is a sublime, modern design. It has elegant flat panels that would look great with any room design. The DQ Vela would look great in any room, such as hallway, living room, or kitchens. The Vela is crafted out Aluminium, this means it heats up and cools down quickly with less water content - meaning lower energy costs as a result. The metal also gets to blazing hot heating outputs. 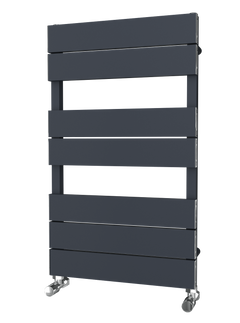 The Radiator Company Ellipsis Towel Radiator is a simplistic towel radiator that looks exceptional wherever it is installed. The Ellipsis would look outstanding in any room in the house, especially bathrooms and ensuite. 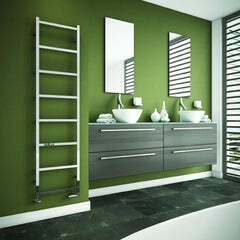 The Radiator Company Ellipsis Towel Rail is available as either white or RAL colours. The Radiator Company Ellipsis Vertical Radiator is a lovely simple radiator, with beautiful oval tubes making it a luxurious look. The Ellipsis would look exceptional in any room in the house, especially hallways, living rooms and conservatories. The Radiator Company Ellipsis Vertical Radiator is available as either white or RAL colours.